This article originally appeared in The Old Radio Times, June 2006. Many skill sets are utilized with old-time radio depending on whether students are listening to a program or enacting one. Writing: Writing can be used with either aspect of the medium. While listening to a historical program, students can make note of historical references from their readings and keep track of new information acquired. Students can also write a description of the show’s setting, or of the characters. As there is no right or wrong outcome to such activities it can lead to interesting comparisons and debates after the listening is done. When teaching 8th grade Kansas history my students enjoyed listening to Gunsmoke (later a television series), a program set in post-Civil War Dodge City, Kansas. Students made notes of issues studied in class that were mentioned in the show such as the buffalo hunters and the tension between farmers and ranchers. A more in-depth writing activity is creating an original audio play. Traditional writing themes of structure and characterization all apply but an extra challenge is added when information cannot be imparted through visual clues or extended monologue description. This activity can easily be added to any teacher’s toolbox. Analysis: Howard Blue, a former social studies teacher in New York, used original radio scripts about D-Day and the Black Plague in teaching secondary students. He found it to be an effective tool in analyzing propaganda in both historical and contemporary settings. Some students were interested enough to recreate these old scripts. Greg Butler, a reading teacher, uses an episode of Suspense to analyze how a writer can create and build tension in a story. Speech: Audio plays can be used in building speech and public presentation skills as a “part-way” activity. Students stand and speak before their peers but with less pressure since the audience’s visual attention is elsewhere. Speech skills such as tone, speed, inflection, and projection can all be practiced with an audience but without all the usual pressure. Fine Motor/Listening: Creating an audio play provides the opportunity to develop fine motor skills with younger students. As mentioned above, sound effects in such productions are very important, thus creating extra incentive for students to focus on the required actions. Audio plays are also a discrete way to reinforce such basic skills as listening and following directions. A mist-timed line or sound effect due to inattention can hamper the rhythm and atmosphere of the piece. In order to build listening comprehension skills Michael chose Adventures By Morse (by highly regarded radio writer Carlton E. Morse), an adventure serial from the 1940’s, in the hope that the stories would engage the student’s attention. Despite initial skepticism, the students found themselves engaged by the material and Michael was able to track improvement in listening comprehension by using questions he formulated based on the performance. In fact, the students were so engaged that eventually he used the show as a reward. As outlined above, old-time radio provides a number of fresh learning avenues in the classroom. These brief ase studies offer a glimpse of the range of activities in which OTR has been used successfully in a variety of classroom settings. Though long gone as a major entertainment medium, old-time radio can still facilitate learning and creativity in young minds. Here are some clippings about Lawrence, KS station WREN from Broadcasting, 1942. 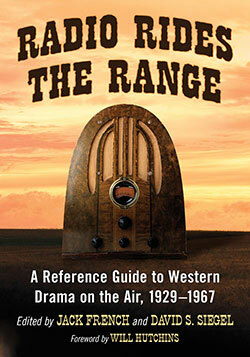 Golden-Age radio dramatic programs, commonly referred to as old-time radio or OTR, were aired from roughly 1930 to 1960. Preserved and shared by a small number of enthusiasts over the past decades, OTR programs are now gaining a larger audience with the spread of digital technologies. At the same time they are finding their way into the classroom. Audio drama can be a beneficial teaching tool with a wide variety of student populations. 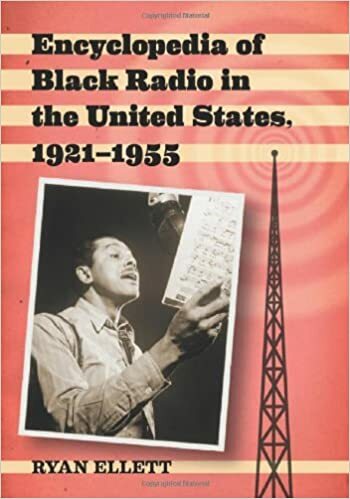 Like television today, old-time radio programs were aimed at different audiences, from the very young to the adult. With this range in program content, OTR can be effectively used with all ages in the classroom. Similarly, whether listening to original programs, reading old scripts, or creating new audio plays, activities can be adapted and used across the teaching spectrum. Non-native English speakers: Old-time radio can be used with both native and non-native English speakers. Richard Schmauss teaches English to Japanese students. Using a basic audio-editing program on his computer he has strung together clips from Yours Truly, Johnny Dollar, a show about a private insurance investigator. After students have listened to the clips, Richard asks questions similar to those found in the Test of English for International Communications. He reports “astonishing success” and hopes to automate the process by creating interactive multi-media web pages. Shy/Physically Disabled students: Recreating OTR broadcasts or writing new audio plays can be an effective adaptation of a more traditional dramatic activity. For students uncomfortable performing in front of their peers, possibly due to a bashful personality or a physical disability, an audio-only performance can be liberating. While an audio play is performed classmates can (and should) focus their visual attention elsewhere. The listeners can work on an art project or complete a writing based on the performance. This keeps their visual attention off the actors, thus lessening performance anxiety. Hyperactive Students: Audio-only plays can be an ideal task for hyperactive students who have difficulty maintaining control in a full- action dramatic activity. With most of the acting done via vocal inflection, physical action is minimal. The nature of an audio play provides boundaries for students who are prone to struggle with self-control during performance-based activities. A good OTR-style performance relies heavily on sound effects to make up for the lack of visual clues and description. The same over-active students mentioned above can find an outlet for their energies in discovering sounds that can be used as effects for the play. It is also an ideal platform for those students who have an uncanny talent at creating novel, and often disruptive, noises. Within the confines of the script being performed, what is usually an irritant (often leading to a reprimand or worse) now becomes a legitimate, even crucial, part of a learning activity. These sound effects are necessary if an audio play is not to be confusing to the listener or dull because of excessive narration. A student waving a sheet of tin foil to create thunder creates much more drama than an actor announcing that a thunderstorm is occurring in the story. The downside of falling into the hobby of old-time radio is that it’s participants are increasingly gray- and white-haired. Which means that accidents, illness, and mother nature take their toll and seem to diminish our ranks to quickly. Many of the founders of the hobby enjoyed OTR as children when it was originally airing in the 1930s, 1940s, and 1950s. Their nostalgic yearnings to rediscover the programs of their childhood led to hobbyists in the 1960s and 1970s salvaging so many recordings and selling and trading amongst themselves. Often in their 20s and 30s then, many of them are now in their 70s and 80s. While the vast majority of the stars of radio’s Golden Age passed on from the 1970s-1990s, now many of the first generation of collectors and hobbyists are leaving us. Bob Burchett was one of those old-timers. He was deeply involved in the creation of the Cincinnati Old-Time Radio Nostalgia convention that ran from the mid-1980s until just a few short years ago, the only such gathering in the Midwest and one of the last to finally shutter its doors. He also founded the Old-Time Radio Digest, a bi-monthly and then quarterly publication of research articles, program reviews, and vintage reprints. For many years he operated his own old-time radio business, selling shows via cassettes. He was also active in one of Cincinnati’s OTR fan clubs. Though I’d not seen Bob since the Cincinnati convention closed its doors, I am saddened knowing I’ll not have the opportunity to again hear the boisterous laugh of a man who loved old-time radio and was a true blue friend. Here’s a nice pic of Bob posted by Martin Grams. This article originally appeared in Radiogram, January 2016. Taking a break from Real Folks, work that had consumed him for the last four years, Brown turned to motion pictures. In late 1933 Universal announced plans to produce a series of 13 newsreel satires under the Goofytone label. At least four were produced, maybe more. The Goofytone satires didn’t take off so Brown once again turned his attention to radio where he created yet another series that would allow him to milk the caricatures that had been his bread and butter since the late 1920s. After an extended time spent reflecting on his life in the peacefulness of his upstate New York farm, Brown began planning a radio comeback in 1935. He began experimenting again with voices, his original ticket onto radio a decade before. One night he was at a get-together that included an old friend, Mario Chamlee, and on the spur of the moment decided to greet him in dialect. Chamlee didn’t hesitate and responded in his own rapid fire Italian dialect. Onlookers were delighted and the pair began hashing out a routine. It was an unexpected turn for Chamlee, the son of a Methodist minster who had spent the last twenty years singing with the world’s premier opera companies and recording on the Brunswick label. His initial taste of radio came in the spring of 1935 when he sang for thirteen weeks on The Garden Hour. But he was easily talked into becoming the Italian Tony for a new series, Tony and Gus. Tony was an aspiring opera singer while Gus was an aspiring prizefighter. Brown immediately recruited his old colleague Else Mae Gordon to be the show’s Kansas rooming house keeper, Mrs. Grange. Charles Flattery played George, a prizefight manager. Arthur Anderson played the part of Buddy, an orphan. Tim Ruffner announced and Joseph Stopak led the small orchestra while Charles Magnante provided more intimate accordian arrangements. Reviving his old Swede character, Gus, Brown and Chamlee went on the air portraying two immigrants befuddled by their newly adopted homeland. General Foods bought sponsorship for their Post Toasties and Post 40% Bran Flakes cereals for 26 weeks, five nights per week immediately following Amos ‘n’ Andy beginning April 29, 1935. It was a nice revival for Brown but after four months Tony and Gus left the airwaves. In a small afterward, Tony and Gus landed Chamlee in court. Radio writer Wilbert Newgold claimed in a 1936 suit filed against Chamlee that the singer had agreed to a contract for a radio series to be called The Organ Grinder for which Newgold would receive a commission in exchange for getting a John Weaver to write the scripts. However, Newgold claimed that contract was breached when Chamlee signed on with Brown for their 1935 series. He thus sued Chamlee for 25% of his take from Tony and Gus, a cool $9,000. Ultimately, a jury dismissed the suit saying there were few similarities between the two series and there was not sufficient evidence of an agreement between the parties. For all his radio acumen, George Frame Brown was essentially out of the game once Tony and Gus folded. In 1942 he ventured to California and performed at some USO shows with Chamlee but his performing career never got back off the ground. What money he had made in radio dwindled away in a Glendale restaurant investment that didn’t pan out. While he continued to write, the second half of Brown’s life was spent scraping by with menial work such as mowing lawns or gardening. Brown was so broke that a kind neighbor would leave him food and new clothes. After retirement he made ends meet on Social Security and a meager military pension, passing away in obscurity in Hollywood in 1979. His companion of twenty years, Gene Lockhart, claimed that Brown had a treasure-trove of memorabilia from his vaudeville and radio days, including scripts for all the shows he ever wrote. Where is that material now? It hasn’t been turned up in the special collections of any universities or libraries so hopefully it may yet be uncovered in private hands. About four months after leaving Main Street Sketches Brown left to create Real Folks on NBC, as documented above. He was immediately replaced by Don Carney who took on both acting and writing chores. Beatrice Moreland took over the role of Sara Higgins vacated by Virginia Farmer. Other cast members as of 1929, a year and a half after Brown’s departure, were Harris Peters, Roy Smeck, Sawne Taylor, and Virginia Newburger. George Kelting, another series performer, was represented by Minnie Webster who in 1929 was negotiating with various film companies to get Kelting into some shorts. Don Carney, Brown’s successor, was the host – as “Uncle Don” of a wildly popular daily children’s program that ran for many years. His radio career, which has been documented elsewhere, started on New York’s WMCA after practically demanding a job that, to his surprise, he got. The program director at WOR heard him and recruited Carney to take over the role of Mayor Luke Higgins as well as writing duties on the weekly Main Street Sketches. This was no small feat as each weekly script ran over 40 pages on top of all his other station responsibilities. Carney is probably best known among OTR fans for apocryphally leaning back after the end of his children’s broadcasts and snidely commenting “There, that ought to hold the bastards for a while,” or something along those lines. Generally regarded now as an urban legend, Carney is no less a giant in the annals of radio history. A 1931 Variety review gives insight to Main Street Sketches’ sound after three years on the air. The week’s episode focused on Mayor Luke Higgins’ attempts to uplift the moral qualities of Titusville. One of his proposals was to prohibit underwear from being hung out to dry so it wouldn’t fill up provocatively when the wind blew. The reviewer believed the “bucolic sketches” were “innocently funny, and quite humorous.” The show’s musical interludes “attempt[ed] to reach Toscanini heights but intentionally [fell] flat all the way.” At the time, it was sponsored by Ivanhoe Products and their wares were plugged throughout the show’s script. 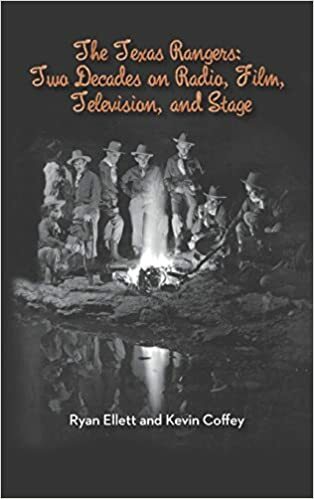 Thought sources differ on when exactly Main Street Sketches ended, this author believes the original series left the air in mid-1931. Because of very similar series that followed (explored below) with nearly identical – sometimes identical – characters, some post-Main Street broadcasts likely are mistaken for episodes of the original WOR series. Cox stayed with the series for only two years before departing WOR and heading South where he took a position as program director with Miami, FL’s WQAM at the end of 1930. One year later he was signed by the Mark O’Dea & Co., agency to create a series of 15-minute transcriptions called Centerville Sketches for the Charles E. Hires Co. (Hires Root Beer). When the series debuted in January 1932 it sounds like it was a rehash of Main Street Sketches with the same Titusville characters. In fact, 11 of the 19 Main Street players appeared on the transcribed series. Centerville Sketches aired Tuesdays and Fridays by transcription over KDKA, WLW, KYW, WOR, and KNX. WFAA (Dallas) was added in April. The program had one last gasp when it turned up in Los Angeles as Hometown Sketches over KNX in 1935 where Cox was program manager. Set in Centerville, Lela Vaughan and Francis Trout – both veterans of the original productions, played Aggie Spinks and Cap Albury respectively. Ralph Scott, the French Lieutenant from the earlier Tarzan transcription series, played Lem Weatherbee. Elsie May (Mae) Gordon was an actress whose impersonation and monolog skills earned her time on radio as early as the mid-1920s. She later recounted that a job in a five-and-dime gave her the opportunity to study a wide variety of men and women, allowing her to build her impersonation repertoire. Whereas many of her contemporary radio stars of the late 1920s had washed up in the medium by the mid-1930s, Gordon managed to turn her early job experience into a long if undistinguished career on various dramatic programs through the 1930s and 1940s. Her earliest identified series credits are Hank Simmons’ Showboat (as Maybelle through at least 1932) and Real Folks, both ca. 1929. Some of her other programs that can be dated are Wallace Silversmith Show (1931), Fleischmann’s Yeast Hour (1934), Tony and Gus (1935), Dreams of Long Ago (1936), Columbia Workshop (1938, 1939, 1942), March of Time (1938), Star-Spangled Theatre (1941), Hasten the Day (1943, for the Office of Civilian Defense), Treasury Star Parade (1943), Anything Can Happen (1944), and The Gardeners (1944). Gordon also appeared on Al Jolson, Aldrich Family, Easy Aces, Fred Allen, Report to the Nation, Shadow, Stage Door Canteen, Saturday Night Barn Dance, and When A Girl Marries. By the end of the 1940s Gordon was performing on stage in such productions as “Gentleman from Athens” (1947). She was married to Norman White and had a son, Graham White-Gordon. The University of Iowa has a late 1940s promotional pamphlet with highlights of her career here. Elmer: Hello Prince, old boy, what’s the matter? You want out? All right, I’ll let you out, old boy. Betcha smell a rat, huh? Matt: You sit down there and finish your homework – I don’t want to see any such report card as you brought home this week. Elmer: But gee, Uncle Matt, he’s scratchin’ and beggin’. Matt: He’s beggin’ for one of them peppermints you’re nibblin’ on. Martha: Here, Matt, I got another kerosene lamp fixed. Matt: Thanks, Marthy, I’ll just put this one over near the potato bin. My golly, it seems funny dependin’ on these old kerosene oil lamps after spoilin’ ourselves so long with electricity. Martha: If you ask me, I still think they’re as good as bulbs. Martha: I thought there’d be more folks in askin’ for their mail. I guess maybe it’s too cold. Martha: That sounded like the front door. Bill: It’s Bill Perkins. I brought some company over from the station. Matt: Come on in and get warm. Mitchel: Ah, I do not sell my work, but rather offer it for approval. I have known the acclaim of the crowned heads on the continent, I have been the guest of governors, municipal dignitaries, and scions of the country’s oldest families. My name and picture have been posted in all the great cities to awaken the anticipation of a grateful multitude. Matt: Did you ever play on Broadway in New York? Martha: Oh, gracious! What’s happened? Matt: Sh-sh-sh … I guess he’s fainted. I can’t see his face in this light. Marthy, go in and make some strong coffee and warm some hot broth. I think I know what’s the matter. By 1931 Real Folks had moved to WABC where it was broadcast over the CBS network with a new sponsor, Log Cabin Syrup. Brown hoped that the move to Sunday afternoon that came with the station change would restore the series’ children audience, many of whom had stopped listening as Real Folks had earlier settled into evening time slots. By the next year, 1932, and four years after Real Folks had debuted, the program was running out of gas. Whether the quality had declined or the sophistication of radio listeners had simply passed it by, a Variety reviewer found little to like. The reviewer noted that motion pictures had left behind the rural sketches but radio was slow to catch on to that trend. He also indicated that the 30-minute length was too much compared to the quarter-hour length of similar shows. While nothing was overly poor about Real Folks, there was simply nothing out of the ordinary about the broadcast. As best can be determined, Real Folks left the air in the first quarter of 1932. For the next few months Post Toasties sponsored George Frame Brown in a series of personal appearances during which he performed monologs with some of the radio show’s characters. Later in 1932 H. Emerson Yorke, who had previously worked for Paramount Long Island as a casting director before moving into radio production, filmed a trailer of Real Folks with members of the radio cast that was used to promote Brown’s personal appearances. Brown’s one-man show was re-conceptualized as a full-cast stage version of radio’s Real Folks and it transitioned to the Broadway stage in fall of 1932. Brown headed the cast, with Virginia Farmer, Irene Hubbard, and Phoebe Mackay continuing from the airwaves and new actors George Usher, George Shields, Earl Redding, Flavis Arcaro, Gene Cleveland, Edward D’Oisy, Sam Monroe, Phillip Robinson, Norman Williams, and Elizabeth Erich joining them. The play was renamed “Thompkins Corners” and a cross-country tour was scheduled to begin September 26, 1932. Audience enthusiasm for Brown’s creation had indeed dimmed, and after four weeks playing town halls and auditoriums the show folded in Syracuse. NBC had to step in and ensure that the actors got their promised pay. Interestingly, though it was the most publicized stage version of Real Folks, it wasn’t the first. Back in 1929 Brown had performed some Real Folks sketches on the Keith’s vaudeville circuit. Ad mentioning Centerville Sketches, 1932.